As friends of American journalists James Foley and Steven Sotloff, Matthew Van Dyke was convicted to respond when his friends were brutally beheaded at the hands of ISIS. Van Dyke has responded by investing $12,000 of his own money to start “Sons of Liberty International”, a non-profit established to help Christians in Iraq to defend themselves from the brutality and savage attacks of ISIS. In an interview with CBN, Van Dyke shares how he has witnessed entire Christian communities being nearly wiped out, and how 6 months in solitary confinement has given him the strength to carry on. “I was a prisoner in Libya…in solitary confinement for nearly 6 months. I had nobody to talk to except for God. The only thing that got me through that every day was prayer. Hear the full story of what is taking place, how we can respond, and so much more. Also shared in this segment: persecution, Christians, Iraq, CBN, empowerment, compassion, Marines, service, and love. John and Steve shared in this segment. Christians United for Israel has identified itself as a significant organization, in this critical hour, as those who boldly stand up alongside our brothers and sisters in Israel. Ten years ago, Pastor John Hagee founded the organization that is making bountiful strides today. What CUFI has done in these recent years is nothing short of profound: it is the largest Pro-Israel Organization in America, more than 2 million members, and in 2014 fifty Christians from every State and the District of Columbia traveled to Israel. Each year CUFI gathers in Washington, D.C. for their Annual Summit. The 2015 Annual Summit is fast approaching, July 13-14, and reservations are currently available for those who will attend. Many distinguished guests have been present at Summits in years’ past. Elie Wiesel, Dr. Charles Stanley, Pastor John Hagee, and Prime Minister of Israel Benjamin Netanyahu. Don’t miss this event. Hear more about the exciting work that CUFI is doing, what has been done in the last 10 years, and so much more. 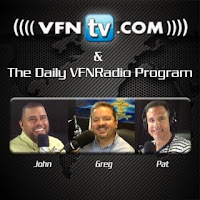 Also shared in this segment: Israel, Christians United for Israel, Pastor John Hagee, and prayer. John and Steve shared in this segment. Life is actively happening, to each of us. But, not every one of us is living out life in the same manner. Some are sitting on the sidelines wondering if they have a part to play. Others are watching things happen with no desire to “get involved”. But, there are those who are “in the game” and playing an active role in the lives that they were given. Each of us has only one life. We don’t get another one. Often times we don’t think about this reality, but it is true. At the end of this life, we will stand before the Lord and give an account for how we lived our lives. We can avoid the regrets of tomorrow by doing what is right today. With a closer look, there are 6 areas of our lives that we can see that need faithful oversight in each area. Six areas were talked about and we can also add a 7th, our finances. Hear about each of these areas, the significant impact we can have when we do all things for the Lord, and so much more. Also shared in this segment: gratitude, thanksgiving, the Great Commission, talents, stewardship, technology, business, repentance, relationships, and abiding. John and Steve shared in this segment.